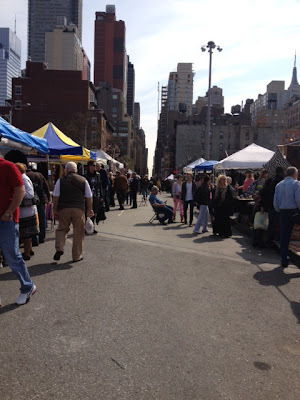 While out and about in New York City on a Saturday morning, my good friend Caitlin and I decided to hit up the Hell's Kitchen Flea Market on 39th street. It happens to be one of the oldest and most well known flea markets in the city. 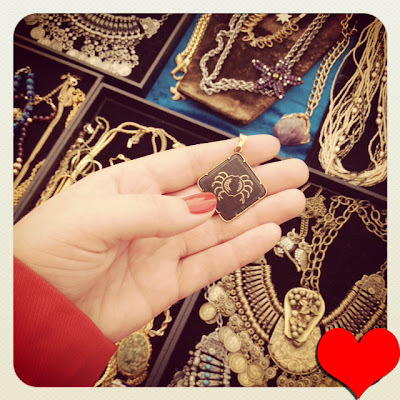 This old-school vibe market brings a unique crowd and has a very distinctive vendor list. 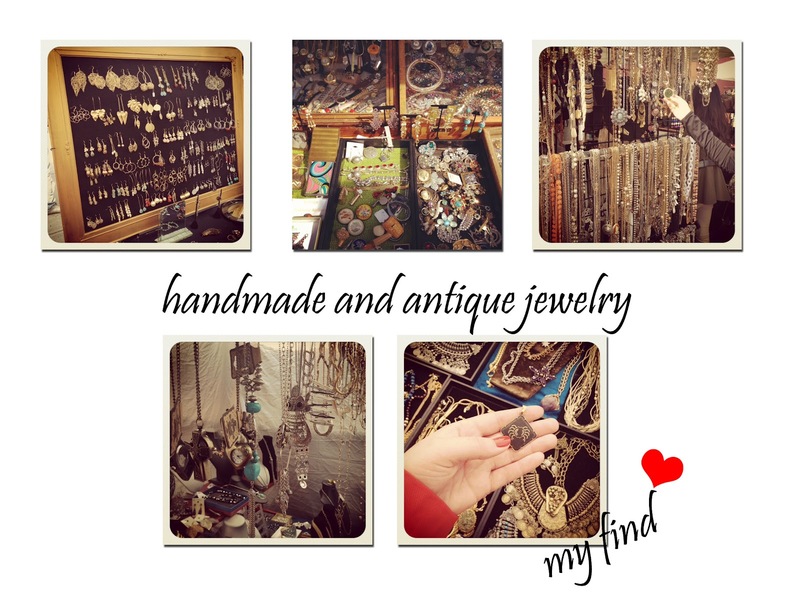 Beautiful artwork, antiques, handmade jewelry, and vintage finds can be found here. I just so happened to walk away with a beautiful antique necklace. For more information on the Hell's Kitchen Flea Market click here: Hell's Kitchen Flea Market.